Is there money in blogging and web publishing? ABSOLUTELY! So do the work! Always go for QUALITY, ORIGINAL CONTENT that is useful to your target readers. Experiment with ad placement. Dissect your target market and serve them useful information, always. The traffic will follow. And with traffic comes earnings! Invest in software, themes, plugins, etc to scale up faster! Newbies are welcome! 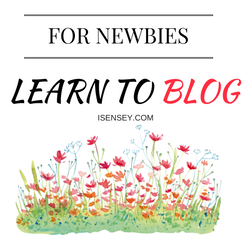 Learn how to blog!